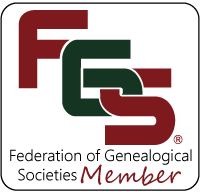 The area the Central Virginia Genealogical Association studies is the area included in Old Albemarle County, from its creation from Goochland County in 1744 until it was divided into multiple other counties in 1761. That area now includes: Albemarle, Amherst, Appomattox, Augusta, Bedford, Buckingham, Campbell, Culpeper, Fluvanna, Goochland, Greene, Hanover, Louisa, Madison, Nelson, Orange, Page, Rockbridge, Rockingham, and Shenandoah. For a list of surnames of interest to CVGA members, go to Surnames Researched by CVGA Members. For research web sites on this area, refer to our Central Virginia Resources spreadsheet. Since its inception, CVGA has established a library of genealogical and historical works, periodicals, pamphlets, and manuscripts. This collection is housed in the Albemarle Charlottesville Historical Society Library. There are three components to the files. Keeton-family-reports The “family-reports” are more complete than the information in the ancestorsofjunedianespencermartinkeeto files. Keeton-photos These are photo files, but the individual photographs are not identified. A benefit of membership is access to the 1983-2018 archives of the Central Virginia Heritage, the newsletter of CVGA. To join, go to the CVGA Membership Form on the home page of this website. To purchase copies of the individual issues of CVH on Amazon.com, go to Purchase Publications. While CVGA does not conduct research for others, we may be able to find persons who will perform this service. In addition, various libraries in the area maintain lists of independent researchers who may be willing to do research for a fee. No endorsement of individual researchers is intended or implied. Wish to contact someone regarding family research and assistance in locating geanological chart originally produced on Ancestary.com? Above is general question since I missed the engagement with Susan Emert at the JMRLNorthside Library. Thank you. Sally, what sort of problem are you having finding this chart? Email me at the webmaster’s link in the footer. I also missed that public library session on Ancestry.com and would love some help accessing the family tree info from my stepmother’s account. Any help is appreciated! Christopher ” Christian ” Spears ; per KY DAR born 1755 VA and died and is buried in Harrison County Kentucky. Our family has hit a brick wall with this my 3 great grandfather. Can anyone help? I found your gentleman in the Simpson/Harp Family Tree on Ancestry.com. I e-mailed Vicki Stafford to see if she would share information with you. She is in VanBuren, Crawford County, Arkansas. Her profile says she is willing to help. You may hear from her soon. I am a descendant of Matthew Harris who was married to Elizabeth Tate. How soon after joining as a new member, can I log in and access past journals? I’m trying to establish who Lee Roy (also shown as L.R. Or Leroy) Carwile’s mother is. Born 10/26/1858 and died in 1/3/1937. His father was Jacob Carwile, III. Birth certificate lists mother as Mary Williams, but family genealogy says her name is Sarah Jane Williams and the wrong name was listed. I’m new to genealogy and any help with directions would be appreciated! Maybe direct me to old obits?? Thanks! Where did the Carwile family live?